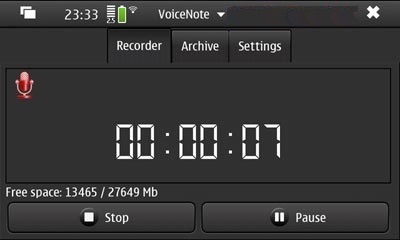 Advanced sound recorder application with playback support. Also supports adding tags and location information to the recordings. Users can also share their recordings with Dropbox or email. Configuration options include quality, sample rate, codec, container, channel number (mono/stereo/auto), filename (e.g. time stamp), and directory to save audio files.